As announced exclusively on Look To The Stars last October, the new posthumous album from Lisa Left Eye Lopes will be released this month. Lisa “Left Eye” Lopes was a member of the R&B group TLC, tragically killed in a car accident in 2002. 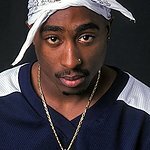 Now, six years later, a collection of songs she recorded with Missy Elliot and Tupac Shakur will help raise funds for the Lisa Lopes Foundation, a charity set up to help realize her dream of creating a non-profit educational and medical center on some property she owned near the coastal cities of La Ceiba and Jutiapa in Honduras. The first official single, “Let’s Just Do It,” was released on January 13, 2009 and features Missy Elliott and TLC. The much anticipated album release party for Eye Legacy will take place on January 27 at Ten Pin Alley, 261 19th St NW, Atlanta. The album includes a bonus DVD of never before seen footage of Left Eye. The album booklet will also contain fan messages that were collected through the Eye Legacy official MySpace page. Lisa’s Home Of Love is a 10,000 sq. ft. orphanage created by the Foundation that includes a dental clinic, free healthcare, and on-site free schooling, and is open to children throughout the community who have no school to attend.